There is a sanctuary in each of us, a place of total serenity and balance. A place of stillness. It is a place from which we are disconnected much of the time. Spending time in silence, it is possible to rediscover this inner sanctuary. Sweetwater Sanctuary was established as a place to reconnect with the serenity and stillness at the heart of our being. Being alone in nature – meditating, reflecting, and relaxing – is a way to reestablish the connection with the inner sanctuary that is available to us in every moment. Sweetwater Sanctuary is a fifteen acre property located in the mountains near Big Sur, 10 miles south of Carmel, California. The property was purchased in January, 2016 as the first hermitage to be opened by the Dharmata Hermitage Project whose mission is to create small sustainable nature based centers for Dharmata Sangha members to do solitary retreats under the guidance of Anam Thubten. Sweetwater Sanctuary opened to retreatants in June, 2016. 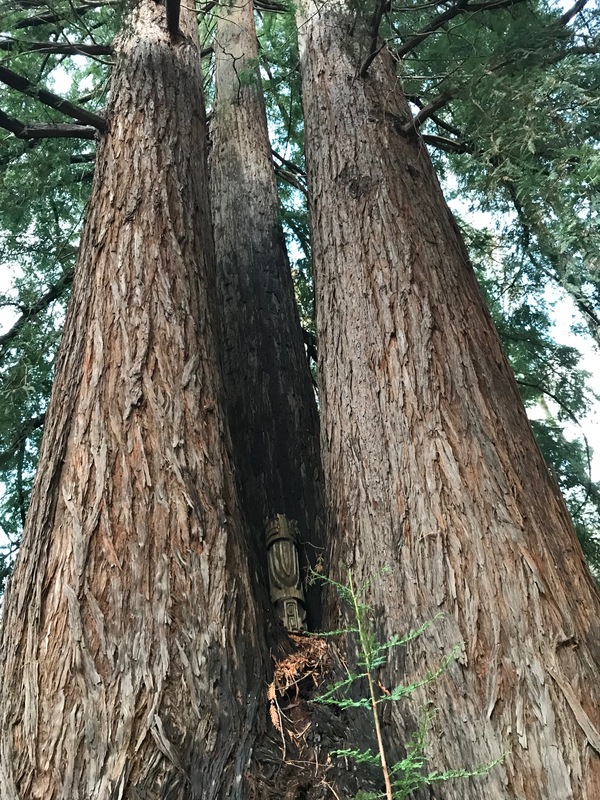 Sadly, on July 22, 2016, the Soberanes Fire that engulfed a large area of the wilderness between Carmel and Big Sur, also swept through the newly established sanctuary. This beautiful land, once a gathering place for the Esselan Indians and over the years serving as a youth camp and earth-based wilderness retreat center was severely damaged. Most buildings were destroyed and trees burned to the ground. Amazingly, Sunyata, the meditation yurt was left standing. Dharmata Foundation is now in the process of restoring the land and preparing to build a new Sweetwater Sanctuary. Check out our blog or contact us to learn about the efforts underway and how you can help. Making a financial contribution to the restoration effort or offering an item on our wishlist are both very helpful ways to support the hermitage through this crucial transformative phase. Now more than ever we feel inspired by the vision of creating a place of serenity and healing for practitioners to spend contemplative time in solitude and in nature in order to deepen their connection with their own inner sanctuary.